Aiming for high-level intentional control of audio feedback, though microphones, loudspeakers and digital signal processing, we present a system adapting toward certain sonic features. Users control the system by selecting and changing feature objectives in real-time. The system has a second-order structure in which the internal signal processing algorithms are developed according to an evolutionary process. Genotypes develop signal-processing algorithms, and fitness is measured by analysis of the incoming audio feedback. 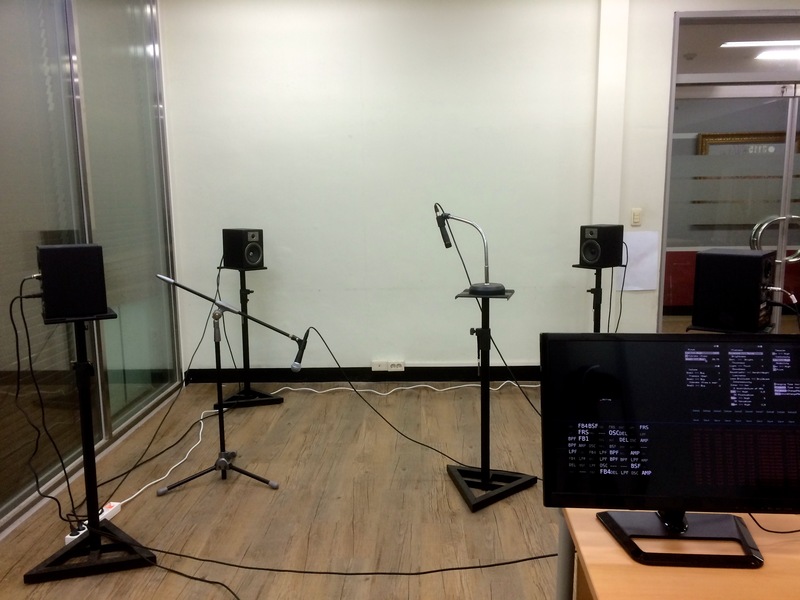 A prototype is evaluated experimentally to measure changes of audio feedback depending on the target conditions. By enhancing interactivity of an audio feedback through the intentional control, we expect that feedback systems could be utilized more effectively in the fields of musical interaction through being balanced between nonlinearity and interactivity.